Top 25 D1 college early adopter beta testing teams include: Dallas Baptist University, Vanderbilt University, Coastal Carolina University, Clemson, Duke. As well as 6 MLB teams. I’ve had a chance to look under the hood of Pitchgrader and I am fascinated with its capabilities. 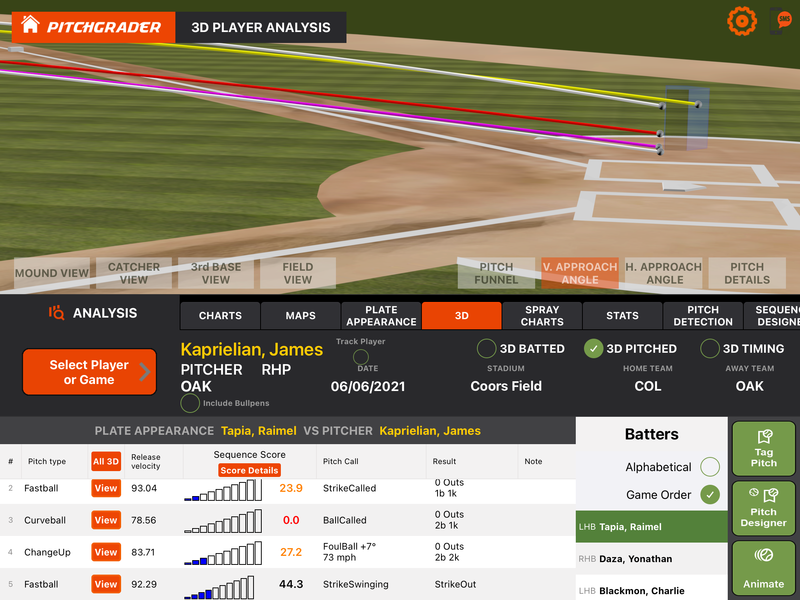 Pitchgrader’s Pro level baseball 3D analysis & simulation has a video game feel to it that might completely change the way a pitcher and coach approach a bullpen, making it more efficient and wasting less time on trial and error tactics. The 3D analysis, charts, graphs, heat maps, and many other evaluation features provide a vast perspective, but it can be tailored for fast actionable meaning based on the user’s preferences. Its the ultimate portable quick scan tool for game review, opponent scouting, and game planning, while still allowing you take a deep dive into the data if you choose to. Pitchgrader seperates result from process and provides a deeper connection between data and application. 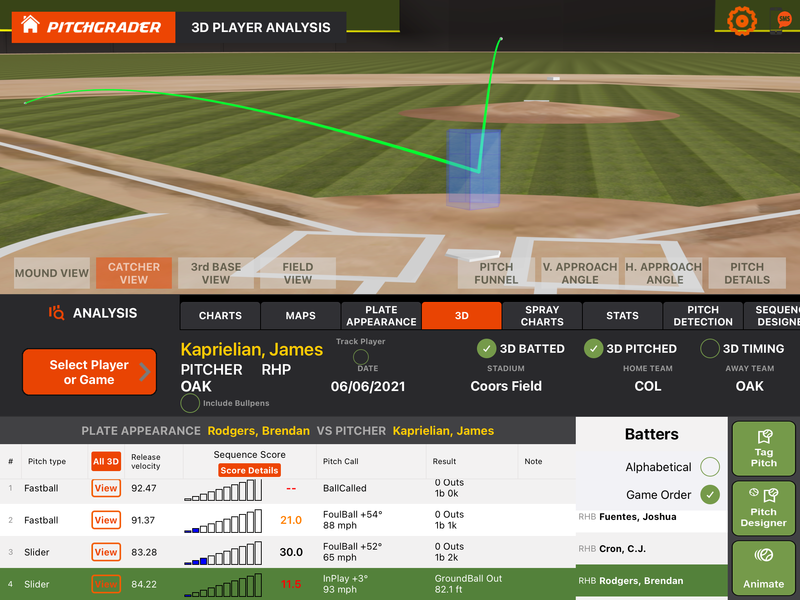 Pitchgrader takes Trackman's numbers and turns them into a picture that players can understand. It is an unbelievable development tool that we use with both our pitchers and hitters. The possibilities are endless, we are still learning new ways that Pitchgrader can make our players better. 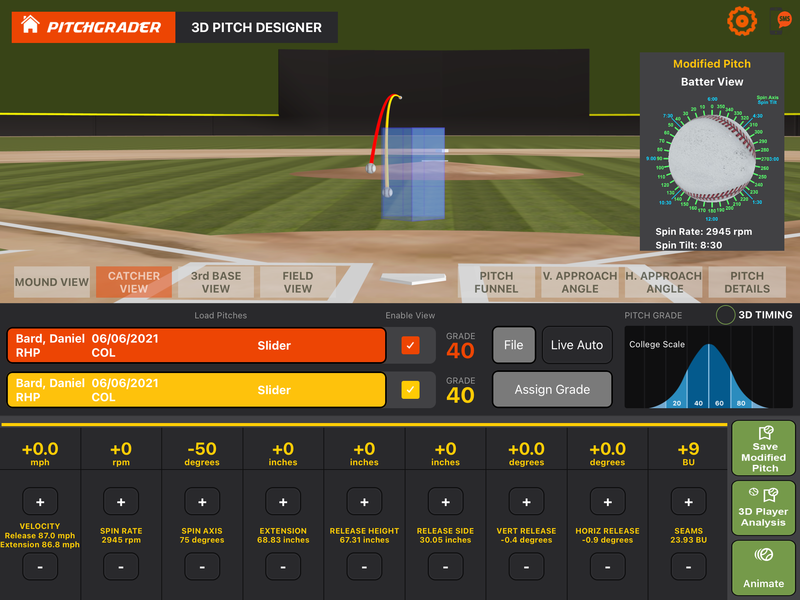 PitchGrader has developed a program for pitching development that is second to none. It brings pitches to life in a 3D visual way that allows our players to understand what their "stuff" looks like. It's the first program that has given them a "why" their pitch moves the way it does, and alows them to use that information to apply towards their development. Development is our number 1 priority, and Pitchgrader has helped us tremendously. Pitchgrader is a game changer in developing our players. Excited to be on board ! I'm not sure how many there are out there that understand how valuable Pitchgrader is. It's a game changer. It will change how college Pitching coaches, Porfessional Pitching coaches, and front offices perform. 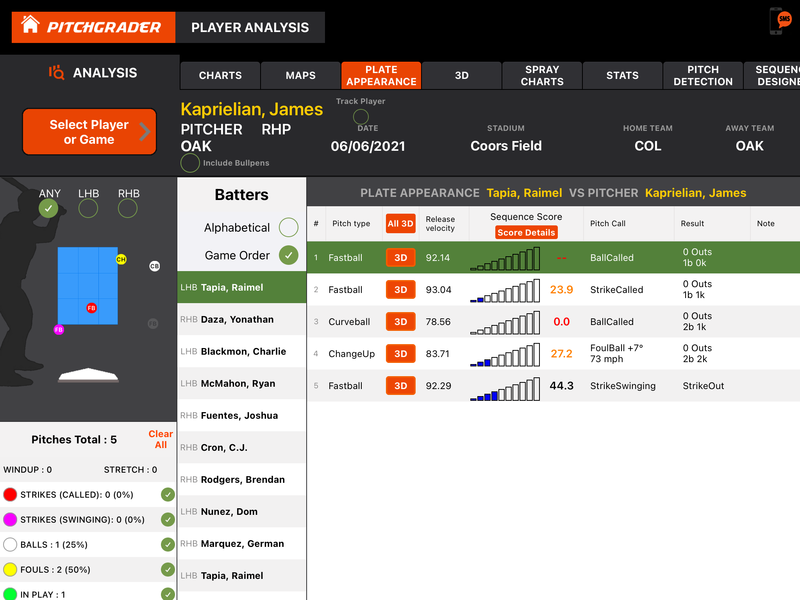 Pitchgrader has revolutionized the data-metric world of college and professional baseball. It has allowed us at Iowa to develop our pitching staff by utlizing 3D imaging, as well as other valuable charts, and graphs. We're also able to make game to game adustments to our advance scouting reports. 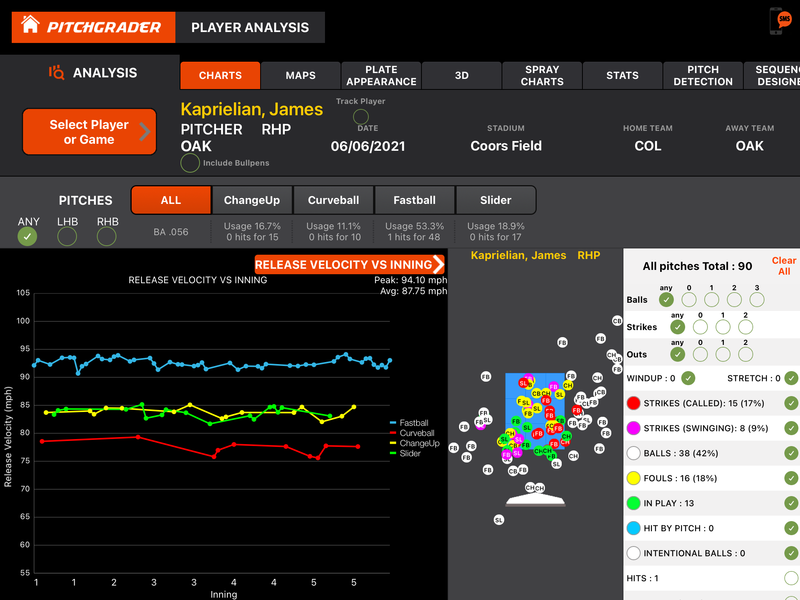 Pitchgrader is a must-have for any high level pitching coordinator. Pitchgrader is an absolute game changer for ball tracking devices. The interface and reports turn a spreadsheet into a quick and easy way to digest and draw meaning from the data. The visuals are outstanding- whether it be viewing spin axis, pitch shape, tunneling, or timing windows, the ability to see it dramatically increases the value of the data. 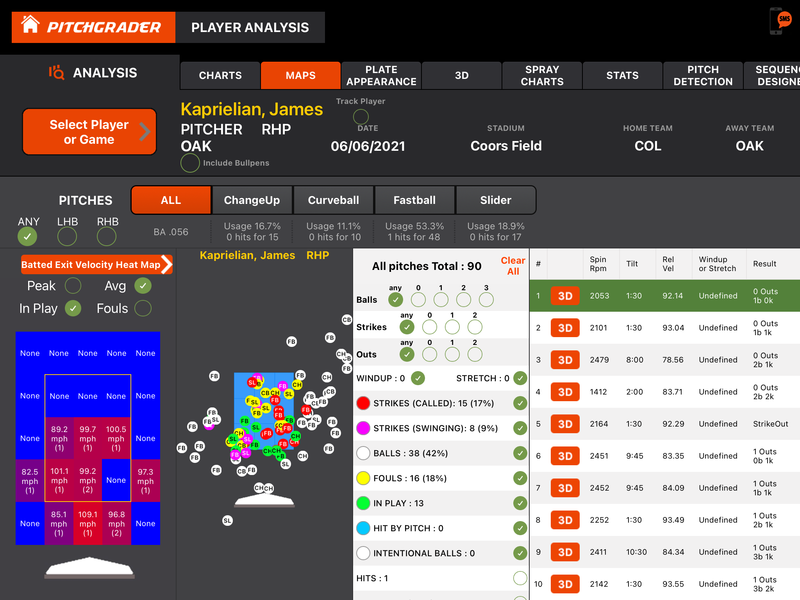 Pitchgrader produces reports that are revolutionizing the use of baseball data for analysis, scouting, and development. Early adopter teams include Dallas Baptist, Vanderbilt, Coastal Carolina, Arkansas Razerbacks, Iowa Hawkeyes, Clemson, Duke, and 6 MLB teams. MLB MiLB College Other *This field is required. *This is not a valid name. Have Trackman Have Flightscope Have none *This field is required. *This is not a valid name.